Sales Seminar at a Sushi Bar? I had lunch today at a new sushi place down the road. It’s a small sushi bar with an open kitchen, and three chefs who greet every customer with boisterous hellos. As I enjoyed my tuna roll, I watched the chefs shout “See you tomorrow!” to each departing customer. I thought it was a bit cheeky for the chefs to assume that customers would return for lunch the next day, but hey, perhaps the power of suggestion is stronger than I believed. Everyone in the restaurant could hear the chefs farewell each diner, so they knew what to expect when it was their turn to leave. One couple smiled at each other in anticipation as they rose from their chairs, then grinned broadly as they said goodbye to the trio of tenors at the back of the restaurant. When another customer stood to leave, he shouted, “See you next week!” before the chefs could get in first. They responded with an even louder “See you next week!” which was followed by uproarious laughter throughout the restaurant. Back at the office, I thought through what I had observed. I wondered what sales teams could learn from the sushi bar’s simple way of interacting with customers. 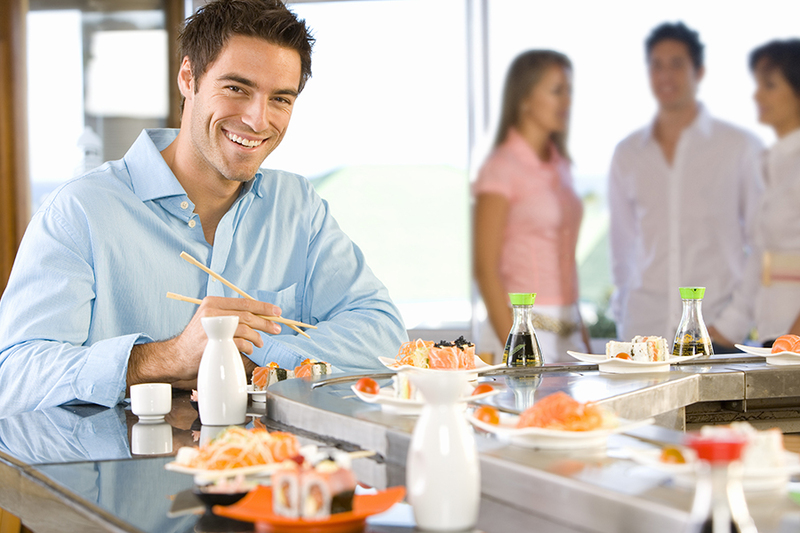 The sushi bar chefs made sure every customer experience was memorable. To do this, they focused on delivering a simple but unified message when they greeted customers: Say hello, say goodbye, and make customers feel welcome. I’ve worked with high performing sales teams who use similar approaches to close deals. When it comes to strategic sales with senior executives, for example, you want everyone in your team to communicate the same message. Though sales messages are generally more complex than the sushi bar example, effective sales teams are experts at using messages to create memorable experiences. Those who strive to delight the customer and make every interaction enjoyable are the sales superstars we all want to work with. I visited the sushi bar near my office because I was hungry and wanted something healthy to eat. My problem (ravenous hunger) was solved (by eating a sushi roll). Your customers are the same. They come to you because they want their problems solved. The most effective sales people do everything they can to understand and fix their clients’ problems. Unless your sales team is very small, you probably need extra support to manage your sales systems and processes. As a trio working in the same restaurant, the sushi bar chefs could get away with not using communication and collaboration tools. Larger teams, or those who spend a lot of time off site, need help to take the guesswork out of the art of selling. Technologies like 1Staff can help your sales teams make sure every client interaction is as enjoyable as my experience at the sushi bar today. Because while I might not go back for lunch tomorrow, I’ll definitely be back for lunch again soon.